Below we have reproduced an article by Kathryn M. Flinn from Belt Magazine. The original post can be found here. Like many teenagers, I could not wait to leave the place where I grew up, in western Pennsylvania. There, my family often took a walk on a nearby Rails-to-Trails path that I liked to call the Trail of Ecological Destruction. This former railroad bed lined with invasive shrubs crosses creeks turned orange by acid mine drainage, passes the sewage treatment plant and the recycling center, and ends at a coal-fired power plant that releases more sulfur dioxide than any other power plant in the nation. I wanted to hike the Appalachian Trail, not this devastated landscape. But, after years of working as an ecologist, I have come to realize that grim terrain like this holds endless ecological interest. I recently took a position as a biology professor near Cleveland, and I’m fully confident that ecological research in the immediate region can sustain a career’s worth of curiosity. But I choose to do local ecology for another compelling reason — I have found that the local, lived-in landscape actually works best as a tool for helping people discover and value the environment. I do local ecology not because it’s cheap, not because it’s convenient, but because it has unique educational value. Any college worth its salt has a Study Abroad office. Just once, I would like to direct a student to the Study Our Home office. Yet studying ecology in the Rust Belt clearly has a public relations problem. Students, parents, administrators, and funders often fail to understand the appeal of local ecology. Even some ecologists, with their focus on biological diversity, tend to ignore the local in favor of places seen as globally significant or simply exotic. In fact, it is surprisingly easy to earn a biology degree without once interacting with organisms in a local habitat. Any college worth its salt has a Study Abroad office. Just once, I would like to direct a student to the Study Our Home office. After all, the word “ecology” means the study of home. We have biology courses where students spend half a semester studying the natural history of Ecuador and half a semester photographing blue-footed boobies. What might happen if students spent an equal amount of time immersing themselves in their own landscapes? To begin to focus attention on the local landscape, I realized that I need to be able to recognize, articulate, and communicate the specific lessons of local ecology. What can students learn locally better than anywhere else? What exactly am I teaching when I teach ecology in urban wastelands, wetland restorations, the humblest of parks, or wherever is nearest to hand? By teaching ecology in a CVS parking lot, I send the same message: This is a place worth noticing, a place of ecological interest. One late spring, I had planned a pollination ecology lab, but no native plants were flowering yet. So I took my students to a CVS parking lot, where a hedge of ornamental quince bushes had a pink riot of flowers mobbed by bees. After some urging, they set to work with their field notebooks, hand lenses, and butterfly nets. What is the difference if I teach pollination ecology in a rainforest in Costa Rica or in a CVS parking lot? Students learn the same observation skills and pollination ecology techniques. The same ecological principles pertain. The difference is that, to get to the rainforest, students have endured a six-hour flight and likely a harrowing bus ride. They have paid thousands of dollars and donned their technical polyester zip-off pants. All of this has communicated to them that what they are about to see is worth paying attention to. 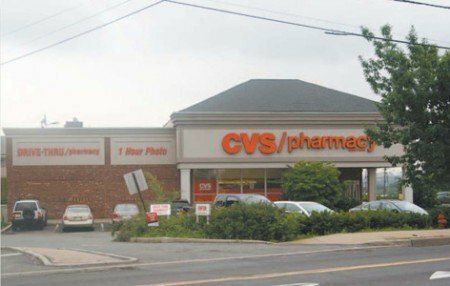 By teaching ecology in a CVS parking lot, I send the same message: This is a place worth noticing, a place of ecological interest. The first lesson local ecology teaches is: Pay attention. 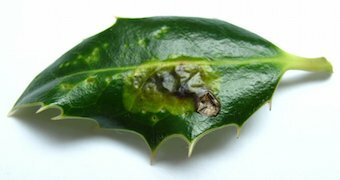 Once I had a 100-year-old holly tree in my urban front yard, but not until I did an assignment I had given my students did I learn about holly leaf miners. Apparently there are several species of insects whose whole life consists of making traces in holly leaves, and there are several scientists who have spent their careers figuring out this interaction. I went outside. Sure enough, my holly tree had them. Sharing the street with holly leaf miners made it look slightly different. Last fall my students discovered a spectacularly armored wheel bug in an abandoned orchard behind a baseball field. They had no idea that something like a wheel bug could exist. Do they respect this place more, given the possibility of wheel bugs? Is it any wonder children don’t spend enough time experiencing nature in their backyards when parents hardly credit their backyards with offering an authentic experience of the natural world? The second lesson: There is plenty left to discover, and you can start right here. Also, what you discover might change your mind. Deep and inchoate ideas about how people interact with nature have a surprisingly strong influence on the teaching and learning of ecology. In his book Thoreau’s Country, David Foster pointed out that when Thoreau built his cabin, the landscape around Walden Pond was extensively farmed, fenced and populated. 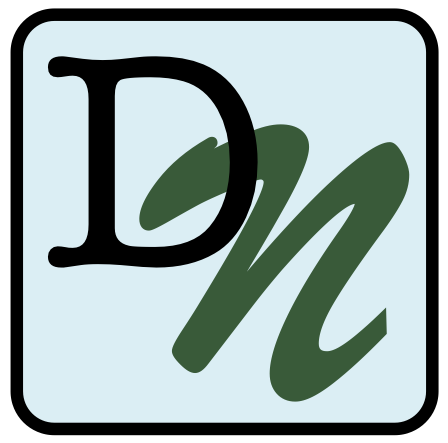 Diana Saverin recently noted in the Atlanticthat while Annie Dillard wrote Pilgrim at Tinker Creek, she was a suburban housewife. Few people remember that Edward Abbey spent his formative years in western Pennsylvania, near the town of Home. These facts need to be emphasized because many implicitly assume that only an individual alone in the wilderness can experience nature. Is it any wonder children don’t spend enough time experiencing nature in their backyards when parents hardly credit their backyards with offering an authentic experience of the natural world? I might walk to work on the streets of Berea, Ohio, and daydream about building a cabin in Alaska or backpacking on the Pacific Crest Trail. Of course, there’s nothing wrong with valuing wilderness or visiting Alaska. But this thinking can demean my surroundings. There are probably plants in the sidewalk cracks I can’t identify yet. Do not think, then, that the fruits of New England are mean and insignificant while those of some foreign land are noble and memorable. Our own, whatever they may be, are far more important to us than any others can be. They educate us and fit us to live here in New England. Better for us is the wild strawberry than the pine-apple, the wild apple than the orange, the chestnut and pignut than the cocoa-nut and almond, and not on account of their flavor merely, but the part they play in our education. The landscapes where we live are the ones we are most responsible for, and they teach us about the consequences of our actions. Thoreau does not call wild strawberries “just as interesting” as pineapples. He does not say we could learn “just as much” from our local fruits. He calls them “far more important to us” — specifically for their educational value. Local fruits and local places teach us about our roles in nature — not just as naturalists or scientists, but as parts of ecosystems. The landscapes where we live are the ones we are most responsible for, and they teach us about the consequences of our actions. My own sense of responsibility for the landscape where I grew up burgeoned when I learned how my ancestors had participated in shaping it. In the 1790s, my great-great-great-great grandfather John McCullough bought 250 acres of forested land near Burnside, Pennsylvania, and spent the rest of his life clearing and farming it with his wife and twelve children. In 1880, his granddaughter Mollie married a logger, who also built things out of wood, especially wagons. Mollie’s brother owned a sawmill, ran a lumber company, and opened a coal mine. Through the first decades of the 1900s, her daughter and son-in-law worked for a coal company. By the 1970s, my father was growing 20 million trees a year on farmland John McCullough and his neighbors had cleared. I grew up with young forests and orange creeks because my own family had created them. By teaching local ecology, I give students a similar sense: This is the place where we live, that we have shaped and continue to shape. This is the place where our children will live. Ecologist Josh Donlan and other advocates of rewilding — especially reintroducing large carnivores — start from the premise that “earth is now nowhere pristine.” They argue that because our actions affect every ecosystem on earth, we should claim this responsibility, and manage ecosystems intentionally. Surely there are no better case studies in how human actions shape landscapes than the landscapes where we live. Certainly, educators need to help students make global connections — when they drive across campus instead of walking, they might contribute infinitesimally to a change in the mist regime of an epiphytic orchid in a rainforest canopy in Costa Rica. Interactions with our local landscapes are simply more immediate and concrete. When I take students in western Pennsylvania to compare invertebrate communities in streams with and without acid mine drainage, they understand the results within the context of their lives. They come from old company towns. Their uncles sell mining equipment. Their neighbors work for the power plant. They mountain bike on slag piles. And they like to fish. Doing local ecology provides a direct impetus to take ownership of our home landscapes, to accept our responsibility as stewards. This third lesson is perhaps the greatest social benefit of local ecology. It is well to cultivate adults who can pay attention and continue to learn from nature. “Those who dwell, as scientists or laymen, among the beauties and mysteries of the earth, are never alone or weary of life,” wrote Rachel Carson, who developed her sense of wonder in an industrial city near Pittsburgh. But as a society we also need citizens who take responsibility for the ways they interact with nature. This may be best learned through the intimate and practical interactions we can only have with the landscapes in which we live. Kathryn M. Flinn is an ecologist originally from Indiana, Pennsylvania. In August, she will move to Baldwin Wallace University in Berea, Ohio. Her website, https://kathrynflinn.wordpress.com/, has more information about her teaching and research.